If you recall from this post, I like beer. 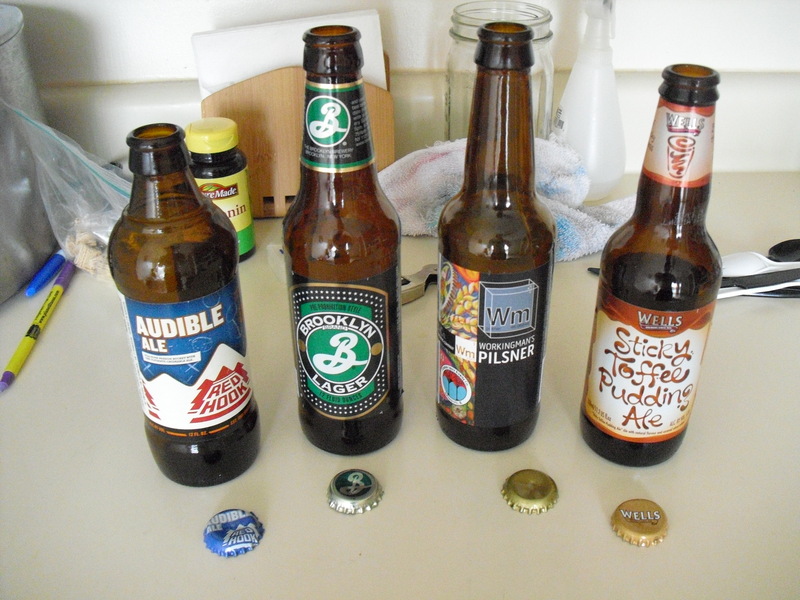 So, something I thought would be fun to do is to my a little blurb-like post each time I try a new beer. Or, more accurately, each time I try I beer that I may have had before but have already forgotten than I drank it. If I were to retroactively list all the beers I’ve had, this post would read like an encyclopedia. Furthermore, God him/herself would need to come down here and tell me what I’ve drank, because there is no way at all I could ever possibly remember them. Its not that none of the beers I’ve had are memorable, its just that my memory is really bad (a big F*CK YOU to Citalopram [Celexa] for that one). Plus, I’ve just had a lot of beer. 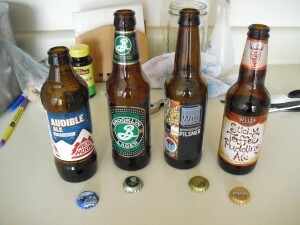 Anyways, for today I have four beers to share which I recently drank. These were actually gifts from my Uncle on my Meem’s side. It was part of a “mix a six.” So if you are wondering why there are only four, its because I already gave two of the bottles to my Dad. My collection of beer bottles is slowly consuming his garage, and these four will probably be the last deposited there for some time (as I am sure he will appreciated). Numbers 1-3 were par for the course. But if you are like me, you were probably instantly drawn to number 4, the Sticky Toffee Pudding Ale. This mysterious beer, which is the only one of the four which is imported (Crazy Brits), was definitely interesting. According to the bottle it is “Based on the Great British Pudding” and is “Full of rich sticky toffee-ness.” Now, if you’ve had the actual toffee pudding, you’ll know it is indeed good. But a little something was lost in translation in the jump to beer format. I’m not saying it was bad, but I am going to go with Beer Advocate and just say it was “Ok.” The sweetness and hoppiness never really blended together properly. Would I drink it again? Sure, as a single or on draft. I don’t think I’d ever get a six pack of it though. The beer is a great novelty though, so you can of have to at least try it if you see it.